Kentucky's culinary fame may have been built on bourbon and fried chicken, but the Commonwealth has much to offer the barbecue thrill-seeker. 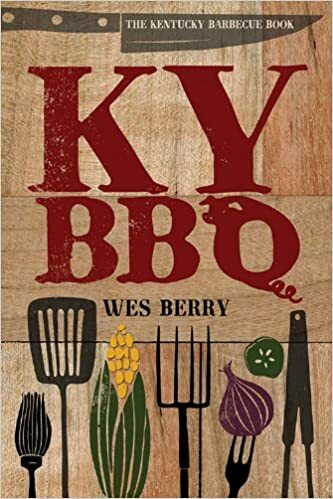 The Kentucky Barbecue Book is a feast for readers who are eager to sample the finest fare in the state. From the banks of the Mississippi to the hidden hollows of the Appalachian Mountains, author and barbecue enthusiast Wes Berry hit the trail in search of the best smoke, the best flavor, and the best pitmasters he could find. This handy guide presents the most succulent menus and colorful personalities in Kentucky. While other states are better known for their 'cue, the Kentucky style is distinct because of its use of mutton and traditional cooking methods. Many of the establishments featured in this book are dedicated to the time-honored craft of cooking over hot hardwood coals inside cinderblock pits. Time intensive and dangerous, these traditions are disappearing as methods requiring less manpower, less wood, and less skill gain ground. Pick up a copy of this book and hit the road before these great places are gone.